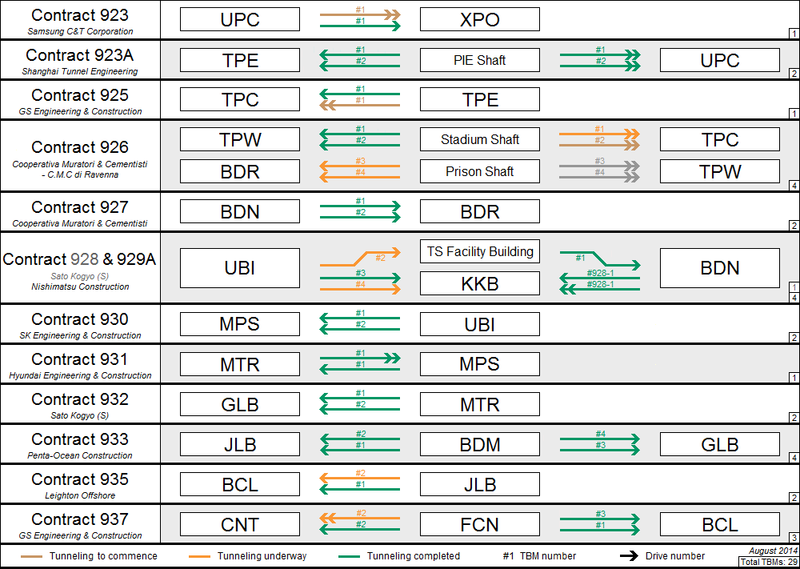 Tunnelling for DTL3 is on track of wrapping up with the further confirmation of 3 more completed tunnels between the Stadium shaft and Tampines West station, and Mattar and Macpherson station in the last quarter. 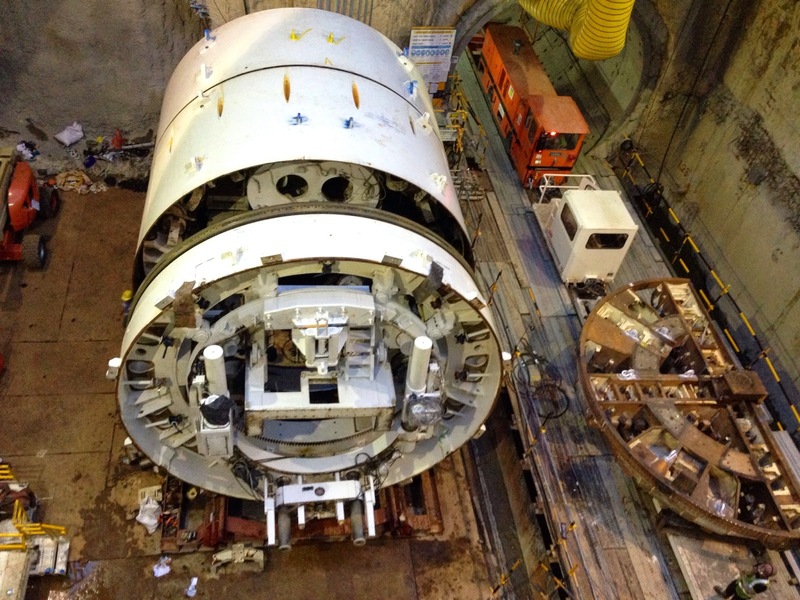 These 2 TBMs will relaunch at the stadium shaft eastwards to Tampines Central station. 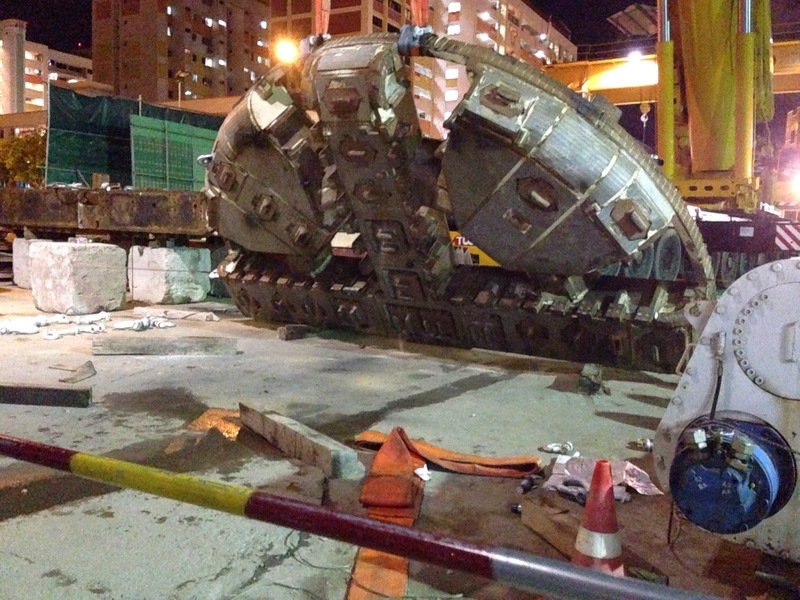 The expo bound machine has just launched last night (Aug 30), while the new shields of the Bukit Panjang bound machine can be seeing at the top of the shaft. 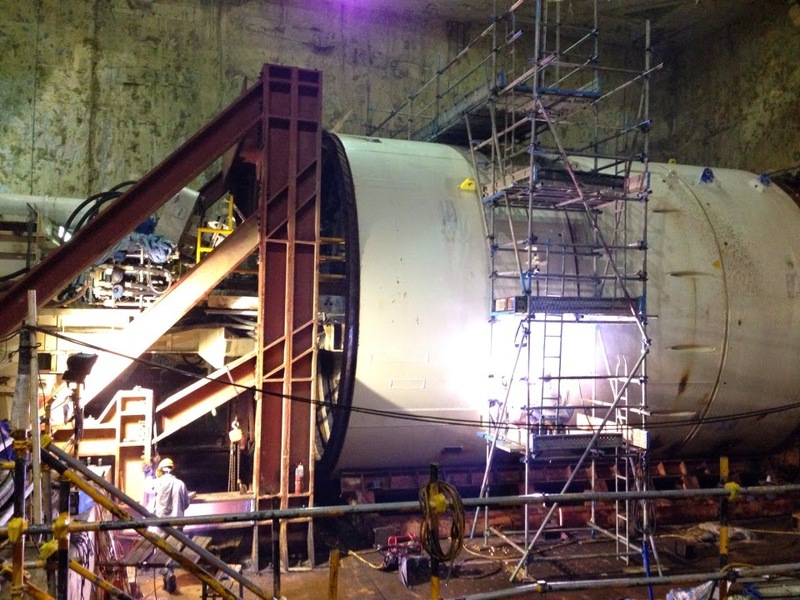 Over at the prison shaft, there was a slowdown in tunnel progress due to management issues within CMC the past year. 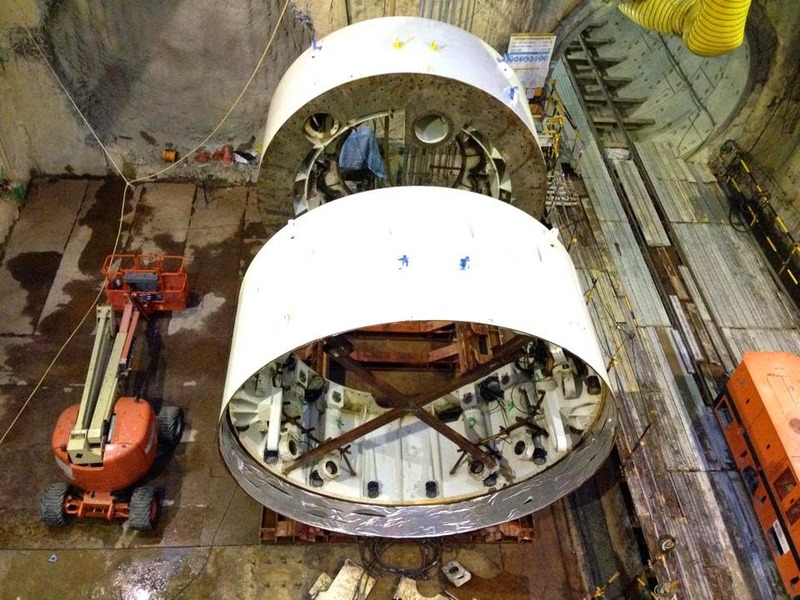 With the issued resolved, tunnelling progress has hasten with an average of 4-5 rings per day. The expo machine is now at ring 586 out of 818 rings (~72% completed). The BP machine is at 433 out of 836 rings (52% completed). 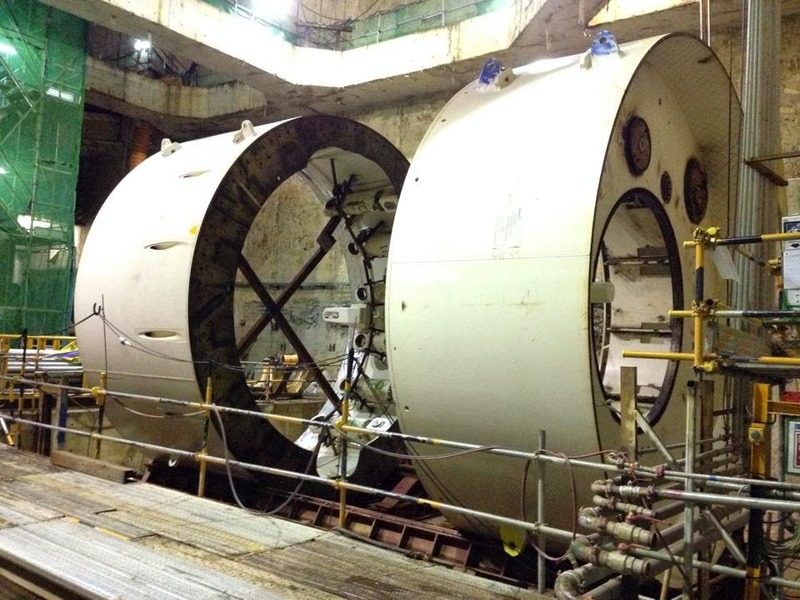 Both machines will breakthrough in 3 to 4 months, before re launching back at prison shaft for the drives to Tampines West station. 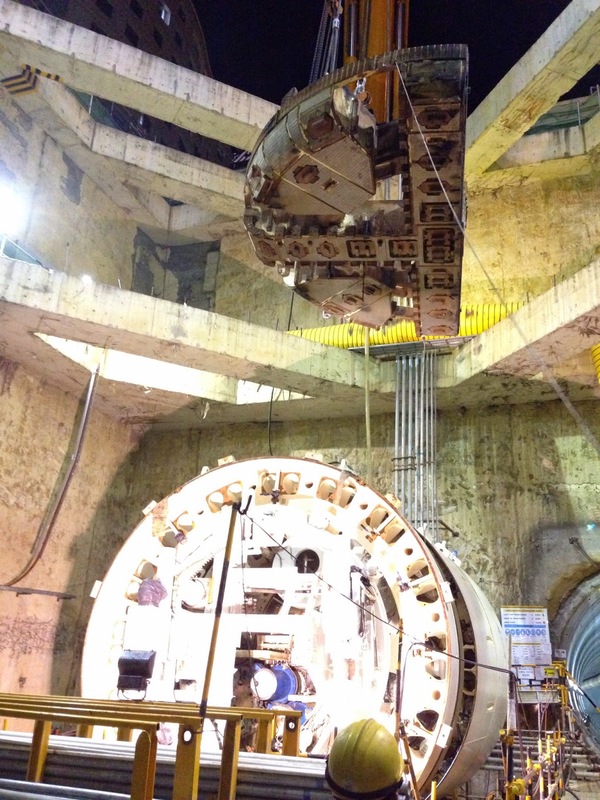 The final TBM launch for the entire Downtown Line will be undertaken by these 2 machines, estimated in January 2015. 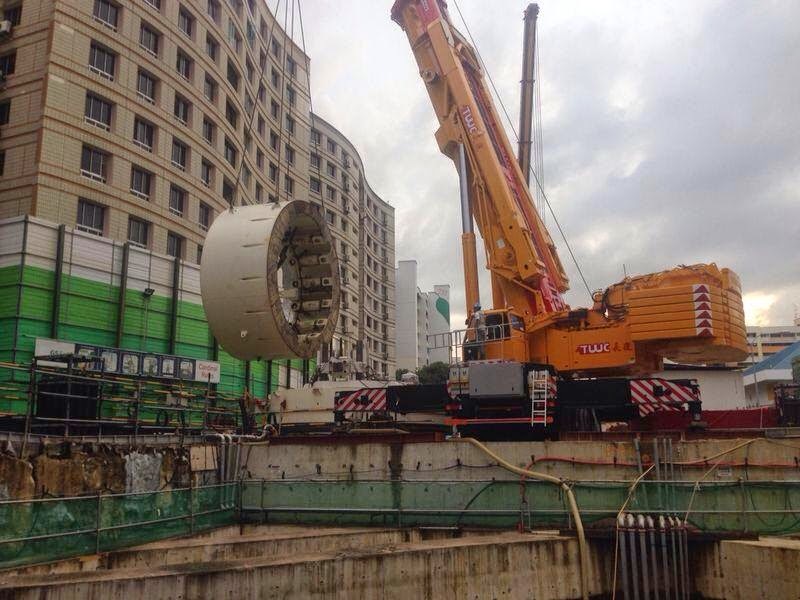 Over at Tampines East, GS is doing up its final preparations for the re launch of its TBM that will bore the Bukit Panjang bound tunnel from Tampines East to Tampines Central. 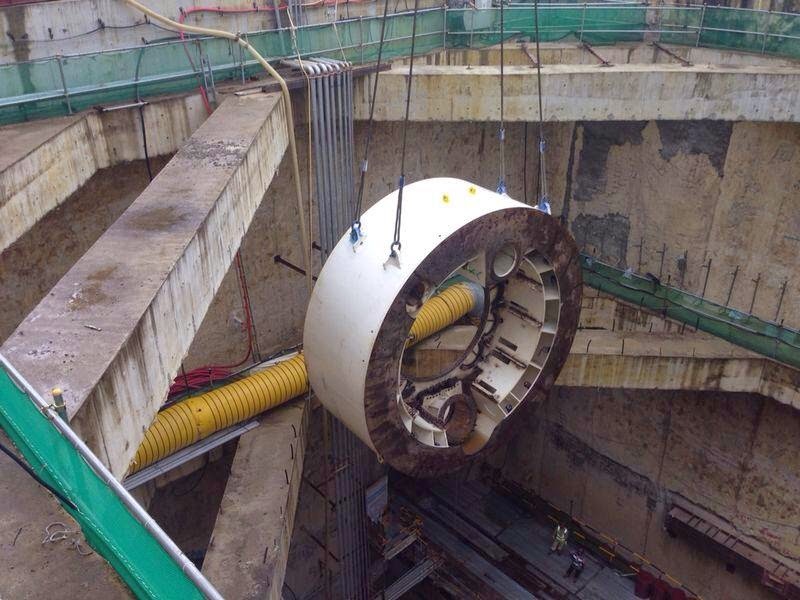 The tunnel works will pose a slight challenge this time round as the TBM tunnels right beneath the foundation of the existing Tampines Regional Library. The machine will launch in 2 weeks and breakthrough at TPC in January 2015. Hi when able could you share map and some details for king Albert park station? And maybe the sixth ave one? 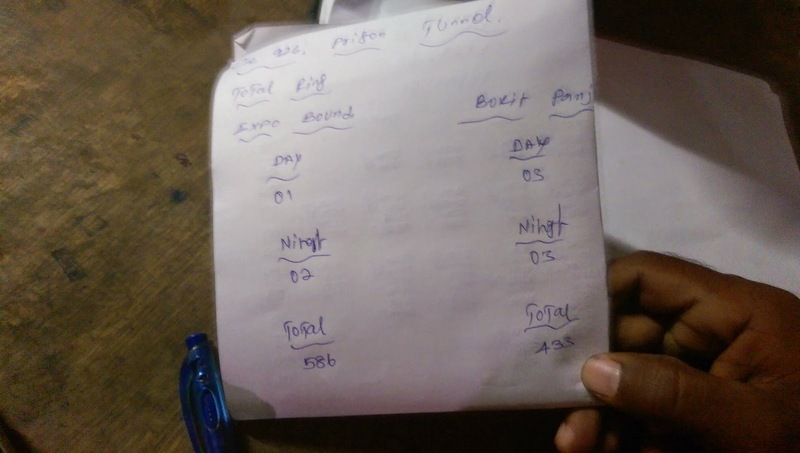 This blog is great, keep it up ! Hi Milton, I asked the same question. They will post updates of all down town line 2 stations. Sixth ave is next and after that King Albert Park. So just stay tuned..
Hey guys, am pleased to let you know that both stations have just been updated. Appreciate your patience and support as we continue to roll out updates for the remaining station over the next few days.